For those of you that read my blog, you will know I'm a real book worm. I am always on the look out for different books to read, even better if they are by authors that I have yet to try. 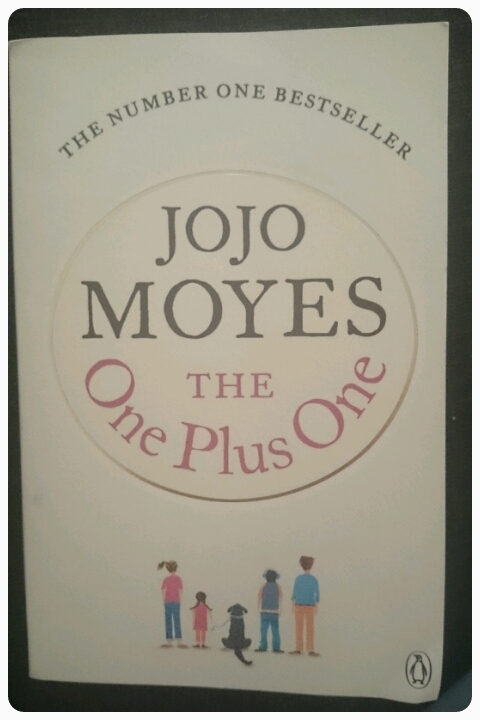 I was recently selected by Mumsnet as one of ten bloggers to review The One Plus One by JoJo Moyes. I've heard of JoJoMoyes before but I hadn't picked up one of her books before. Jess Thomas, with two jobs and two kids and neber enough money, wears flip flops in the hope of Spring. And whenlife knocks her down she does her best to bounce right back. But there are some challenges even she can't meet on her own. Ed doesn't want to save anyone and Jess doesn't want saving but could Jess and Ed add up to something better together? The One Plus One tells the story of Jess and her quirky family. Jess's husband has long since done a vanishing act, blaming it on depression. This has left Jess with his teenage son, her stepson Nicky who is unfortunately being bullied because he doesn't quite fit in. And then there's their daughter Tanzie, a complete Maths genius who has been offered a once in a lifetime opprtunity at a private school, somewhere that Jess just can't afford no matter how much she tries. Oh and lets not forget Norman, their trusty, smelly dog. Jess is however and eternal optimist, believing that if she does right things then right things will happen for her too. Running alongside Jess's story is Ed Nicholls story. Ed it is an IT whizz, who sadly makes one mistake, but it's a big one. Charged with insider trading and facing a hefty prison sentence, Ed has escaped to his vacation home to hide away from his troubles. Time for Jess and Eds lives to collide. One of Jess's jobs is cleaning and when she finds herself cleaning Ed's vacation home, lets just say they appear to rub each other up the wrong way. This first meeting, turns into more chance meetings which ends up with Ed driving Jess and her family to the Math Olympiad in Scotland. I really enjoyed reading this book, so much so that I read it in one night. It is written from four points of view, Jess, Ed, Nicky and Tanzie. This really gave the characters depth and showed just how they interacted with one another. Moyes manages to write with such empathy and warmth that I really felt for each one of them, despite their flaws, the characters are impossible to dislike. I think I connected with the book because it was so believable, Moyes showed that even in a book, not everyones lives are perfect, the way she depicted their financial struggles, made for a thought provoking read. This story definitely takes you on one hell of journey. There are ups and downs, twists and turns but at the end you are left feeling really uplifted. The One Plus One is truly charming and I guarantee it will have you laughing out loud, a beautifuly entertaining romance. I will definitely be reading more books from this author!! Ooh, I was sent this one too, hoping to start it this week. I didn't realise they only selected 10 bloggers! Feel a bit special now! I've heard lots about this one, the lots of 'twists & turns' has me totally intrigued!